The AT900-32D can be used instead of other Applied Wireless audio transmitters where having a remote transmit antenna is desired. Range is approximately 750 feet*. The AT900-32D transmits excellent quality audio from any Line Level source. 32 Channels are available to enable operation of multiple units with different programming in an area. 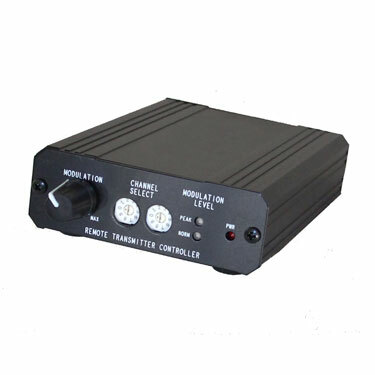 One transmitter may transmit to multiple receivers with no delay. The Remote Antenna, connected via CAT5 cable of any length to the transmitter unit, may be located to enable better signal propagation. A remote Indoor Antenna version, AT900-32DY, is available as well. * Line-of-Sight, when used with AR900-32 or PAR900M receivers with included antennas. 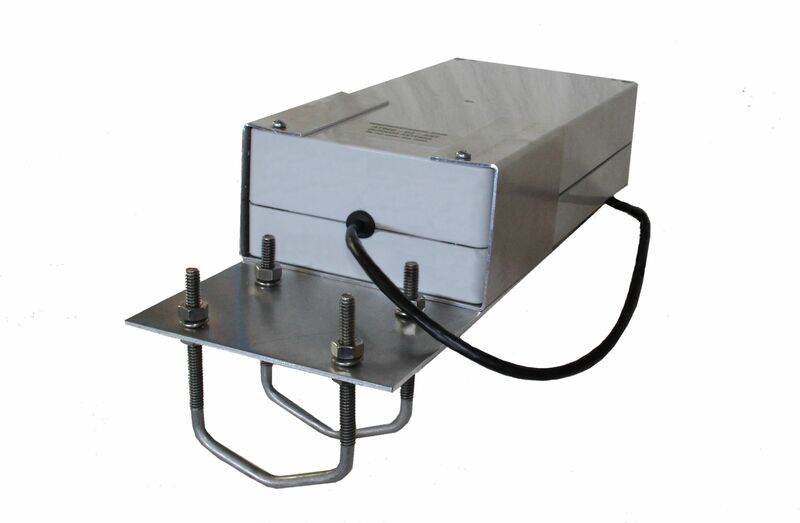 Greater range can be achieved using optional directional antennas such as the FP915-5 Flat Plate antenna or Y915-10 Yagi Antenna. Expect reduced range for non Line-of Sight conditions.